This is a concise, easy-to-read prescribing reference for advanced health care providers involved in the primary care management of patients with acute, episodic, and chronic health problems. 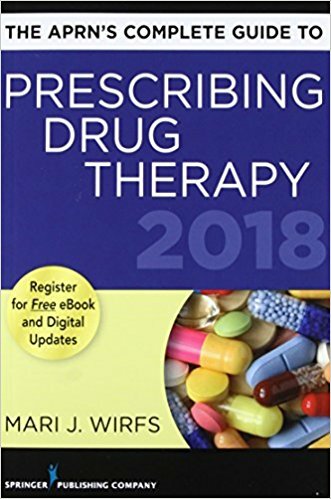 Organized alphabetically by clinical diagnosis for quick access in all clinical settings, the guide encompasses CDC- and FDA-approved pharmacotherapy regimens for more than 500 clinical diagnoses along with clinically useful information in a convenient, quick-access format. Another outstanding feature is the inclusion of Comments throughout the guide highlighting such clinically important information as laboratory values to be monitored, precautions and contraindications, patient teaching points, pediatric usage and dosages, and safety information. Each diagnosis includes appropriate drug choices listed alphabetically by generic name and trade name, FDA pregnancy category, drug availability in generic or over-the-counter forms, adult and pediatric dosing regimens, dosage forms, drug additives, and more. 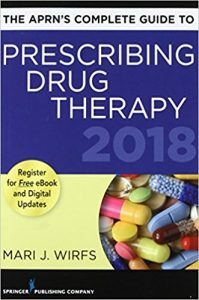 An alphabetical cross-reference index of drugs by generic and trade name, with FDA pregnancy category and controlled drug schedule, facilitates quick identification of drugs by alternate names and relative safety during pregnancy.